After more than a decade running a precision farming dealership, Tim Norris shares secrets to his success and lessons learned. It’s been said not making mistakes is the biggest mistake that companies can make. This is especially true for development of dealerships’ precision farming business. Tim Norris, CEO of Ag Info Tech in Mount Vernon, Ohio, has made his share of missteps since forming the single-store precision farming dealership in 2004. But it’s the lessons he’s learned along the way that have helped define and evolve his precision business into an annually profitable venture. Norris set the tone for the Precision Farming Dealer Summit with his 60-minute opening session, which chronicled the successes and failures of a diverse company that has increased precision sales from about $250,000 in 2004 to nearly $3 million in 2015. Here, we share 5 of the top takeaways from Norris’ session that detail his adaptive strategy to building and managing a successful precision farming business. 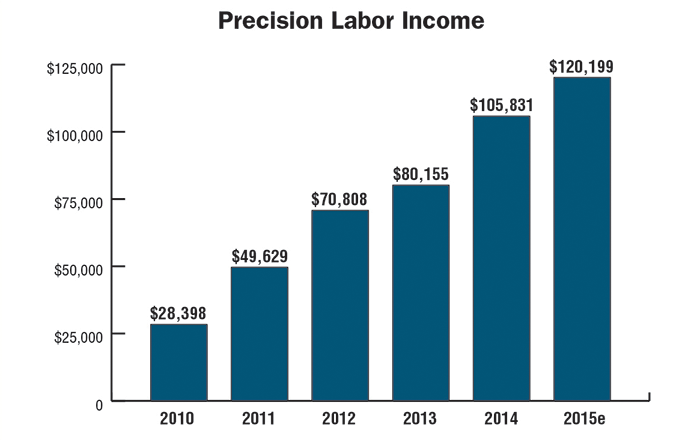 One of the biggest challenges for dealers is determining how and what to charge for precision farming services. But simply billing for precision support is only half the equation, Norris says. While he’s not there yet, Norris is annually increasing service revenue to complement hardware sales. This has been especially important since product sales peaked at about $692,000 in 2013 and have gradually decreased during the last 2 years. At the same time, service revenue has grown from about $458,000 in 2013 to nearly $600,000 in 2015. One of the keys to this growth is the depth and diversity of services offered by Ag Info Tech, which include grid soil sampling, yield data analysis, RTK topo-mapping, tile design, along with installation and service of components. Ag Info Tech has also added specialty product lines, including OPI grain bin monitoring systems, which provide specialists with billable service and installation time during slower summer months. The company also offers parts discounts for planters in June and July to generate additional service revenue. Another tool Norris utilizes is remote management of the company’s service trucks that allow him to track drive time, customer visits and time spent on a job. However, Norris says the company could be more profitable with delivery of service if it did a better job of understanding the true cost of its precision techs and how much of their time is actually being billed out. To emphasize the importance of tracking employee ROI, Norris demonstrated how a precision specialist making $15 per hour can actually cost the dealership upward of $100 per hour, when taking into account taxes, time off and how much of the specialist’s time is actually being billed to the customer. 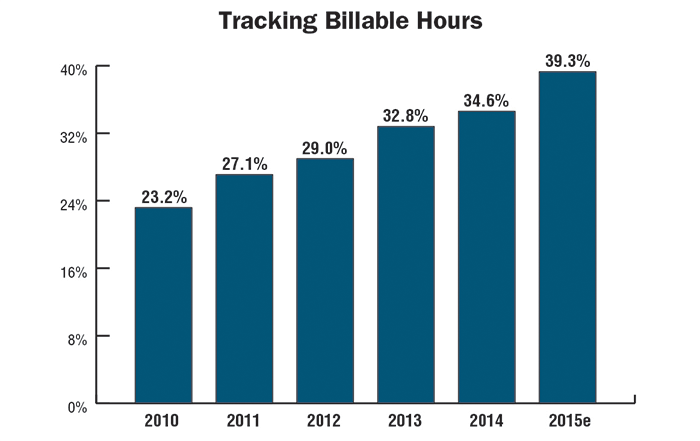 Placing a priority on increasing billable service time, Ag Info Tech has seen the percentage of hours its precision techs charge for service increase by more than 15% during the last 5 years. Still, company CEO Tim Norris says they need to continue to increase that percentage to offset employee costs. With some hardware sales plateauing, Tim Norris is working toward increasing service revenue to be an equal 50/50 split with product revenue. While he’s not there yet, adding services like grid soil sampling, yield data analysis and RTK topo-mapping is getting the company closer. Paying a technician $15 per hour, 40 hours a week, for 52 weeks in a year comes to $31,200. Adding taxes, insurance, a 401K plan, worker’s compensation and uniforms, drives the cost of an employee up to 40% of the wage, Norris explains. Taking 40% of $31,200 is $12,480 added on to the cost of the employee, for a total of $43,680. Then considering miscellaneous expenses like the employee’s truck, fuel, computer and phone, which add another $12,705, for a total cost of $56,385. Including 7 paid holidays per year, about 2 weeks of vacation, 3 paid sick days and 5 days of training, Norris estimates about 1,880 possible hours to bill per employee. Dividing $56,385 by 1,880 equals a cost of $29.99 for the employee per hour — assuming specialists are billing 100% of their time, which is highly unlikely, Norris says. “At Ag Info Tech, we only bill about 40% of our billable hours for service techs, which means the cost per specialist is about $77 per hour,” he says. “Even though that percentage is increasing each year, that’s not nearly good enough. We only charge $65 per hour for service work, (but $90 for out of warranty hardware) so it’s costing the company about $12 per hour on service jobs. To turn the deficit into a surplus, Norris has two objectives — keeping specialists more productive year round and charging more for service. While the dealership already charges a higher rate to service products purchased from another retailer, Norris is considering a surcharge for emergency, in-season service. Even as service revenue becomes a more important part of precision business growth, Norris says it’s important to maintain a profitable margin on hardware. To maintain an overall profitable precision margin, Norris leverages add-on products such as camera systems or mounting devices. He equates these supplemental products to the fries that a fast food restaurant sells. However, Norris advises that those “fries” will be more valuable if they are somewhat unique and not easily obtainable by your competition. Another option for maintaining margins is to consider bundling services or an extended warranty with the sale of a product. As the precision market continues to evolve for dealers, Norris says one adjustment he’s making is to focus on nurturing long-term relationships with customers, vs. one-time sales opportunities. Ag Info Tech recently adopted a tool called “Precision with a Purpose” to initiate partnerships with farmers and better tailor technology to suit the needs of each operation. Salespeople walk willing customers through a 10-page questionnaire, which asks them to share information on everything from makes and models of equipment used on the farm, to tillage practices, fertility program and soil sampling methods. Questions include how many acres a customer farms, their average corn yield, selling price and how much overlap they think they have when planting. Norris and his team crunch the numbers based on the equipment needed and provide an ROI for the customer on how much money they can make and/or save with the technology investment. Adding employees and versatility to a precision business are keys to expansion. But without a defined vision and long-term objective, any growth could be short lived, Norris says. This is a realization he came to when Ag Info Tech began to increase in size. The company developed an organizational chart to help define the responsibilities of each employee. Norris admits that while they have more positions than people, a flow chart lets employees take ownership of their roles within the company. As CEO, Norris is responsible for setting and sharing the vision and the mission of the company. Simply put, “the CEO tells employees what mountains to climb and provides a plan of action,” Norris says. From the top down, setting performance objectives prevents work from slipping though the cracks. This includes having an expert for each precision product line the company carries and dividing service and sales roles. Doubling his employee base from 5 to 10 since 2012, Norris also realized he needed a more centralized customer relations management (CRM) tool. Unable to find what he was looking for on the market, in 2013 Norris worked to develop an in-house platform called Agri-Vault. While the project ended up costing more than Norris had initially anticipated, he says the investment has paid for itself and put the company in a position to continue growing.